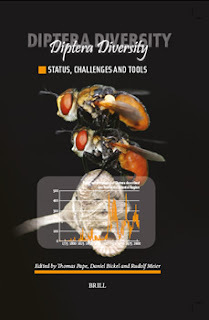 Published today, this new 460 page book, Diptera Diversity: Status, Challenges and Tools was edited by Thomas Pape, Daniel Bickel, and Rudolf Meier and features chapters by many of the FLYTREE principal investigators and collaborators. The concept for this much anticipated book grew out of the 2002 International Congress of Dipterology in Brisbane, Australia. It features sections on regional diversity of Diptera fauna; case studies, ecological approaches & estimation; and bioinformatics and dipteran diversity (pdf of table of contents).